While standard advertising channels – such as radio and TV – persist in the age of internet, digital marketing is continually on the rise as brands realize how it can help them effectively reach their target audience. Automotive dealerships can no longer rely on 60-second radio, 30-second TV spots to promote their business. Consumer shopping habits are constantly evolving, and more and more people are turning to the internet to make purchasing decisions. For this reason, automotive dealerships need to understand the importance of utilizing the digital landscape to their advantage. Digital marketing not only includes social media marketing and display advertising, but also search engine optimization (SEO). Automotive SEO is one of the most effective ways to increase the visibility of your business online. If you want to drive more customers to your automotive dealership, implementing proper automotive SEO is crucial. Yes, we can help… so if you are looking for a hands off approach, schedule a free consult with our fearless leader Adam! According to recent statistics, car buyers spend around 12 hours on an average searching the internet to buy the car of their dreams. “First impression is the last impression” they say, and your website is the first point of contact for many of your customers – so make sure you leave a good first impression! With the growing popularity and ease of purchasing cars online and the reach automotive dealerships have outside their designate market area (DMA), your website needs to designed and maintained in a way that you can rank high in search engines and stand out against your competition. Even though schema mark-up has existed for several years, only a handful of automotive websites are using it to boost their SEO efforts. “What exactly is Schema?” you may wonder. It’s a code you put on your website to help site crawlers and search engines better understand your content. It tells search engines what your data says, and what it means. For instance, it can help communicate used and new inventory. Alternatively, it can be used to convey that the number listed on your website is a phone number. Schema mark-up can also assist in improving search engine rankings, power Google’s knowledge graph and increase user click through rates, all of which can give your website an edge over your competition. According to studies, websites that use schema mark-up rank four positions higher in search results than those that don’t use schema mark-up. Some good schema mark-up options for your website include ‘telephone’, ‘hours of operation’, ‘reviews’ and ‘address’ to name a few. There is no doubt about the fact that search engines love relevant and fresh content. Your automotive SEO efforts should focus on creating unique and relevant content that your customers will find useful and valuable. If changes on your website are limited to listing monthly specials or updating inventory, outranking your competition would be far from achievable. You should, instead, create a news or blog section on your website that provides potential customers with information about the cars you sell. A weekly blog post between 400-500 words is the right way to go, but the content shouldn’t be all about you. 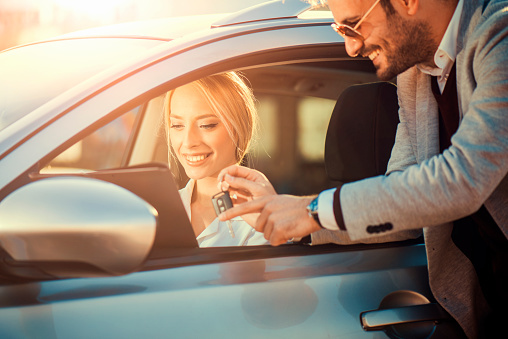 Moreover, it’s also important to include unique and high quality images and/or videos with your car listing to increase the interest of your potential customers in the vehicle. Keeping your website fresh with weekly or daily updates and including valuable and unique information will set you apart from your competition and, in turn, lead to a higher ranking in the search engines. With mobile devices changing the way people search and purchase cars on the internet, it’s crucial to make your website optimized for mobile users. As more and more people are using their mobile devices to make purchasing decisions, having a mobile-friendly website would not only make it easier for mobile users to interact with your website, but also help you stand out from your competition. Therefore, when updating or redesigning your website, speak with your web team to ascertain your website is optimized for mobile users. Mentions of your dealership’s address and name on other websites establish trust with potential customers and search engines and helps validate your credibility in a community. Citations can also help you rank higher on search engines such as Bing and Google. Getting your website listed on reputable business directories or your local chamber of commerce website should do the trick. However, you can also utilize an aggregator tool to help you get more citations. By using tools like Yext or Moz Local, you can publish your dealership’s details across a variety of directory sites, list your phone number, name, and address consistently. Automotive SEO efforts are vital to dealership survival. Therefore, if you are ready to make your business better known in the online world, using these automotive SEO tips can help! Even if you don’t have the budget to hire a SEO company, many of these tips can be done in-house. However, remember that these tips will not bring your automotive dealership success overnight. As with everything, automotive SEO took takes time, effort and consistency to bring you the results you desire!